I am super excited about the Olympics starting, watching the opening ceremonies as I write this week's recap. It's a great way to end the week! Psychologist Testing - My little one that I have tried to get tested all year was finally evaluated by the psychologist. While I am so happy this finally happened, I was sad by the results. This child needs soooooo much! It breaks my heart when students get to third grade not getting services they need. 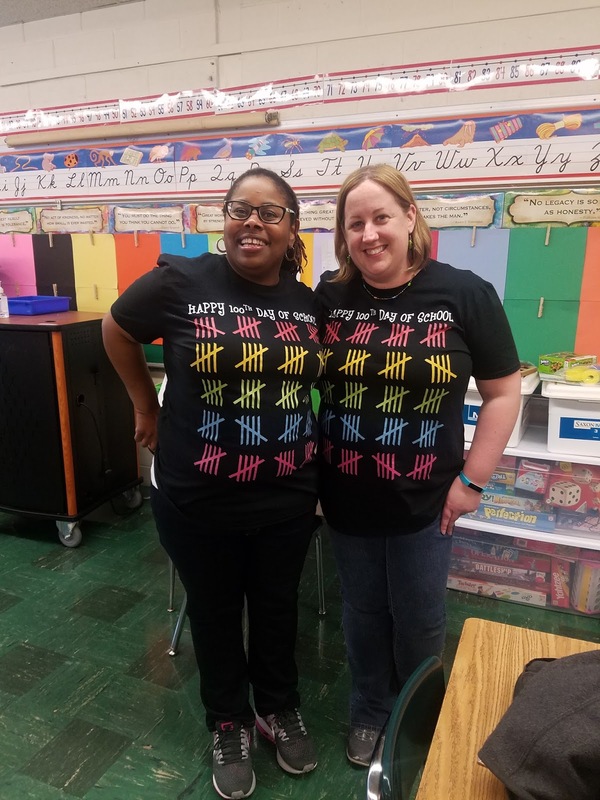 100th Day of School (sort of) - On Monday, my students and I celebrated the 100th Day of School even though it was the 101st Day! Amazon failed me and didn't deliver my 100th Day shirt in time. 😠 I told my students we couldn't celebrate last week because it was Groundhog Day. There was too much going on! Of course they accepted that excuse. We had a great day though! My favorite thing we did was take mini breaks throughout the day to do things like 100 jumping jacks, running in place 100 seconds, etc. 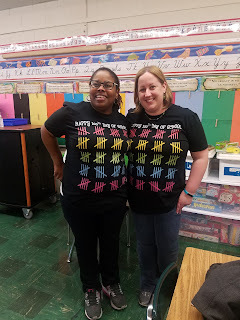 My students love when my coworker and I dress alike! My favorite comment was from one of my little girls. She told us that we would be twins if only our hair was dyed the same color. I love the innocence of kids! Snow Day - Today was a Snow Day! I was/am super excited by this! I needed a rest. I spent the day reading, sleeping, shoveling, and acting like a kid. I made a snow angel. I also tried to build a snowman. Unfortunately, while there is a ton of snow, it is not packing snow. 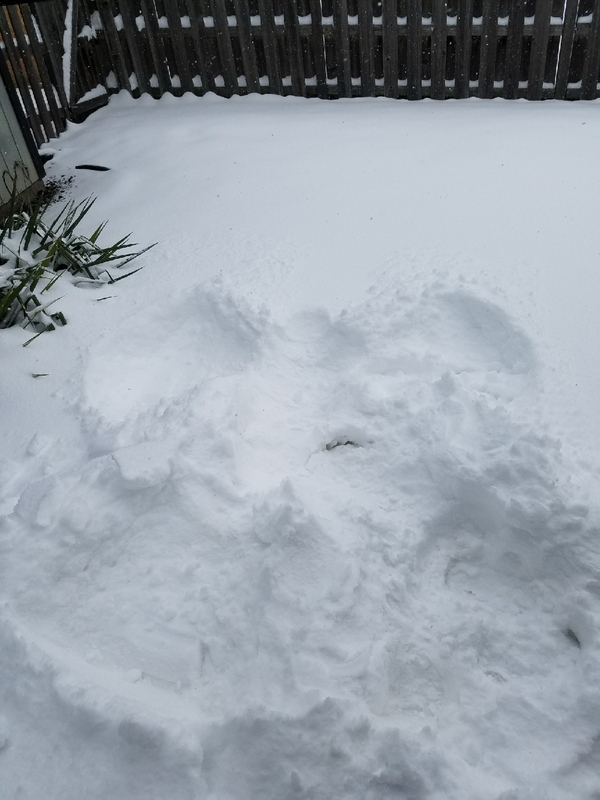 I made a snow mound instead.